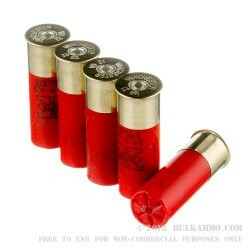 This 12 Gauge shotshell from Winchester’s Super-X line of ammunition is loaded with nine pellets of 00 buckshot. 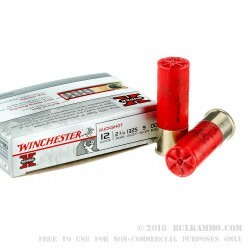 The .33” diameter pellets are buffered to keep them from deforming on their way to exit the muzzle at a velocity of 1,325, so you can count on tight and consistent patterns from this shell. 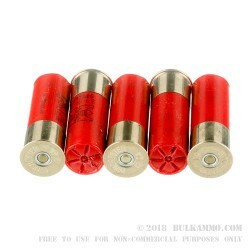 Thanks to their high velocity, these pellets have the stopping power you need to take down even the beefiest bucks. Double-aught is no slouch when it comes to the home defense department, either -- there’s a reason why police officers prefer using it, as it has the power to pierce even walls and car doors to take down threats fast. 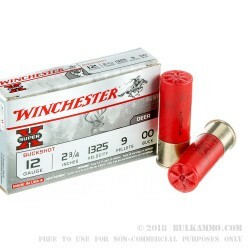 Winchester is already known for their ammunition’s high quality, but their Super-X line has provided exceptional performance for all types of hunters and shooting enthusiasts since its introduction in 1922. This shell’s well-made components come together to form a whole that you can really place your trust in.